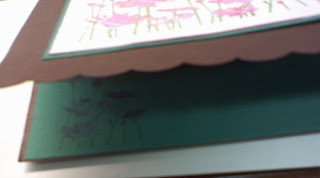 Create Embellish Adore: Enough of the Upsy...? I couldn't help myself... I am just too lazy to put the stamp set away and pull another one from the stash... but I managed a pink card and its not the end of the week!!! Aren't you proud? 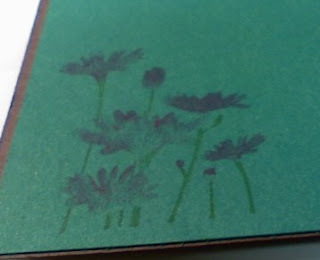 I know its hard to see, but I scalloped the edge and inserted green inside the card, and put about four of the flowers on the green paper.